Selectsoft, a California-based developer of family-friendly games, has released Talky Chip, the Talking Chicken for Android, and coming soon for iPhone and iPad. 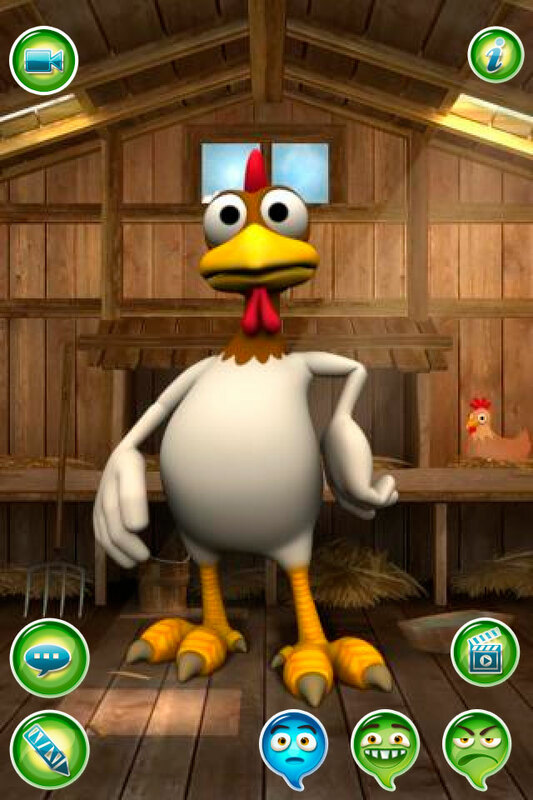 A fun text-and-talk animated talking chicken app with the most robust interactive text and talk features ever, a full complement of silly preset phrases, and hilarious animations, Talky Chip offers hours of entertainment for all ages. Text, talk and play with Talky Chip, the sassy talking chicken! The best text talk feature you can find in any talking app! 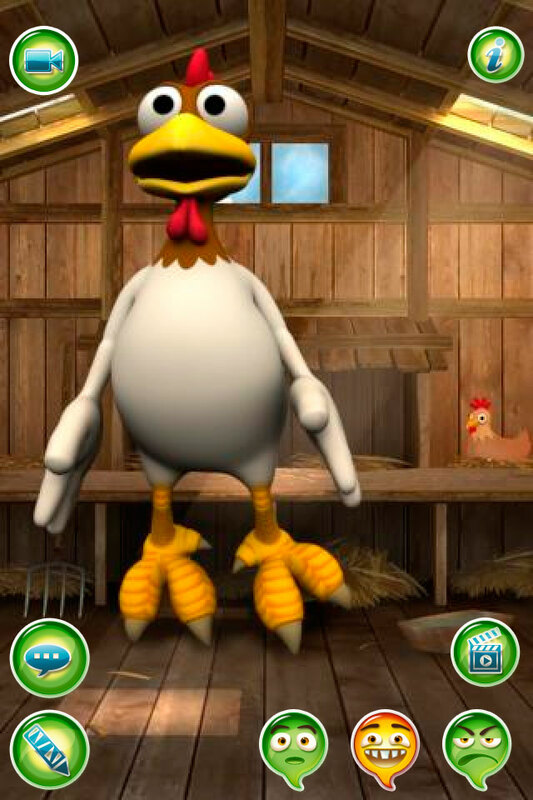 Selectsoft, a California-based developer of family-friendly games, has released Talky Chip, an entertaining and silly interactive 3D talking chicken app for iPhone, iPad and Android. Type in text or speak to Talky Chip and hear him talk back in a goofy voice. Users can easily record and share videos via Facebook, YouTube and email of Chip saying anything they want. Talky Chip offers one of the most robust text and talk features ever included in an interactive talking app, plus many funny preset phrases and amusing animations. Unlike other talking apps which mostly rely on repeating spoken phrases, Talky Chip offers an especially easy-to-use and accurate text-to-talk feature. Users can type any kind of phrase for Chip to speak and make the text as simple or complicated as they want. Chip will repeat the words exactly in his wacky voice. Or skip the keyboard and just talk directly to the app to make Chip mimic. For users who'd rather let someone else come up with the jokes, Talky Chip also features amusing preset phrases and a special animation for hours of entertainment for all ages. Talky Chip is part of the Talky Toons series of apps that also includes the talking dinosaur app Talky Don, available on iOS and Android. The stunning 3D animations and detailed backgrounds make all the Talky Toon apps as much fun to look at as to listen to. Talky Chip is available now on Google Play, and is coming soon through the App Store in the Games category and in HD for the iPad, the NOOK Color™ by Barnes & Noble and on the Amazon Appstore. Text, talk and play with Talky Chip, the sassy talking chicken! Type in text to hear Chip say anything in a silly voice. Or just speak and hear him hilariously repeat everything. Easily record and share fun videos via Facebook, YouTube and email as Chip talks, mimics, dances and more. 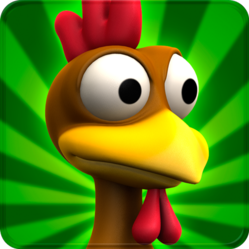 Find out why the chicken crossed the road! Text and Talk: Enter any text and tap the speaker button to hear Chip talk. It's the best text talk feature you can find in any talking app. Mimic: Talk into the microphone and hear Chip repeat everything you say in a funny voice. Cute, Funny and Smart Speech Presets: Tap the speech button to have Chip say amusing preset phrases. Record and Share: Easily capture video of Chip's antics to share via Facebook, YouTube and email. Change Playback Speed and Pitch: Speed up and slow down talk speed and choose between high- and low-pitched voices. 3 Fun Emotions: Tap the emotion button to take Chip from normal to angry to happy. Special Animation: See Chip shake a tailfeather as he dances and jumps. Random Mode: Let Chip choose what to say.